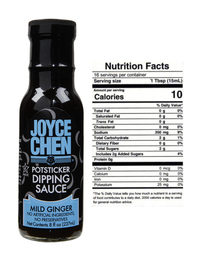 Joyce Chen Soy Sauce, also known as shoyu, deepens the flavor of gluten free dishes, from soups and marinades to Asian cuisine. It's also great on sushi. 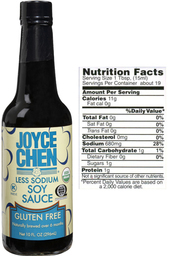 We make our soy sauce by slowly fermenting soybeans for 6 months, using the traditional Asian method. 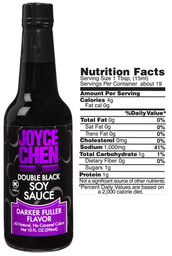 Our high quality, aged Chinese-style soy sauce has less sodium than other brands, and is certified as Kosher by Circle K.
Cheaper soy sauce products on the market tend to be chemically produced, and often contains water, salt, caramel color, and hydrolyzed vegetable protein. The result is a poor tasting, highly salty product. 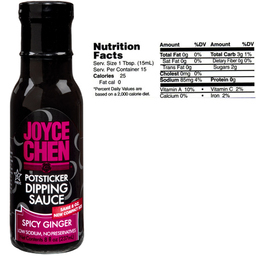 Joyce Chen Soy Sauce does not contain chemicals, no added MSG, artificial colors, and preservatives.